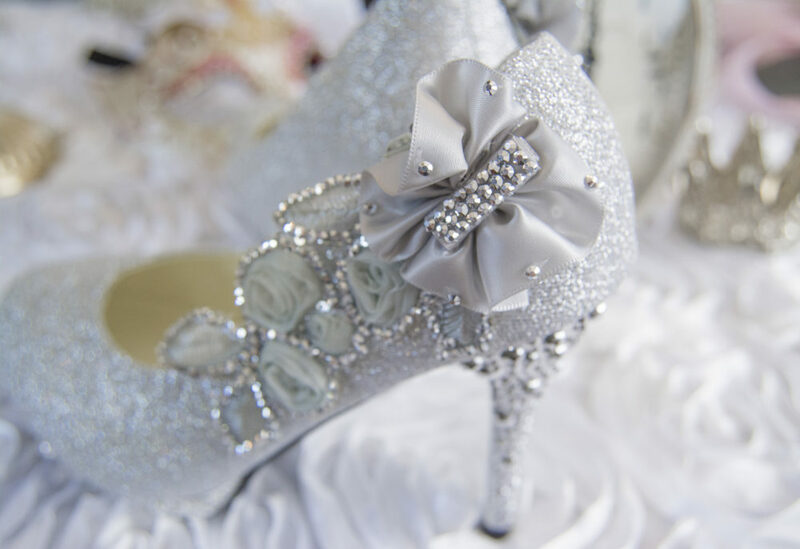 It’s a love story that has lived on throughout many generations: Cinderella. 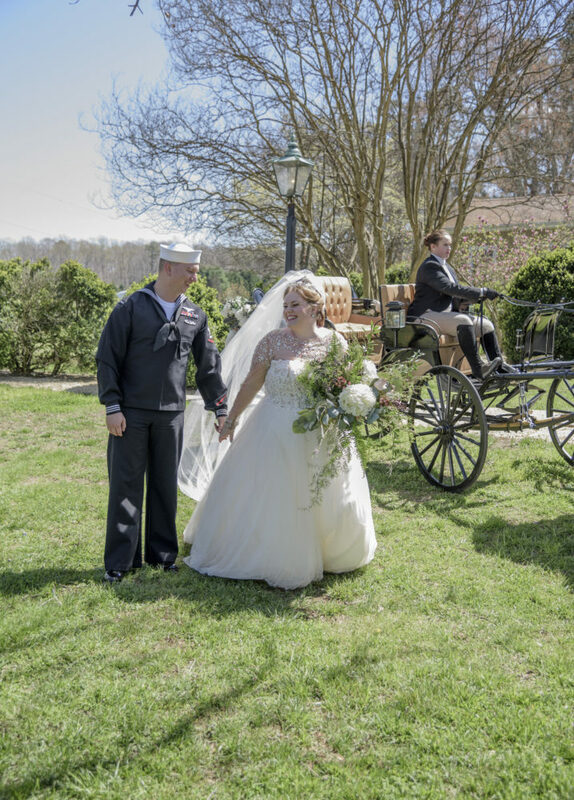 When this Cinderella (Jenna) found her Prince (Gavin) they had a court house wedding and had plans to have a real wedding in the future. 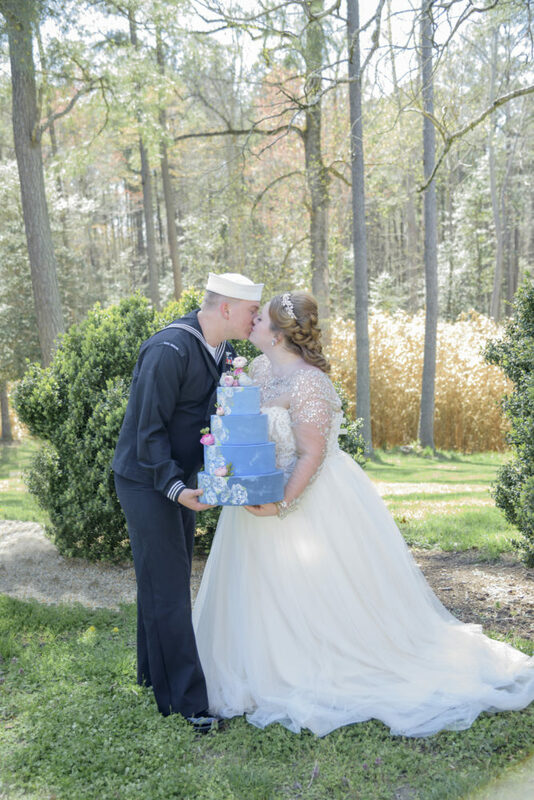 Very soon after, they came to Virginia for the Navy. 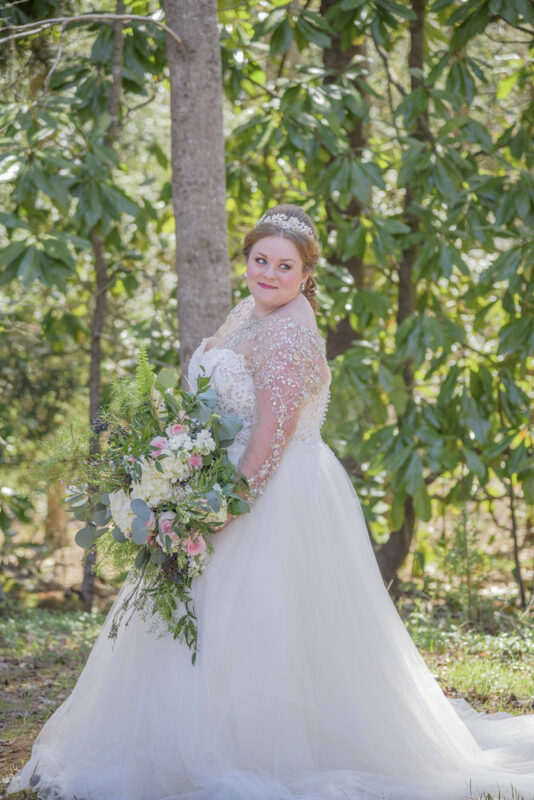 This styled shoot was the perfect opportunity to dress up and feel like a princess for this sweet bride. 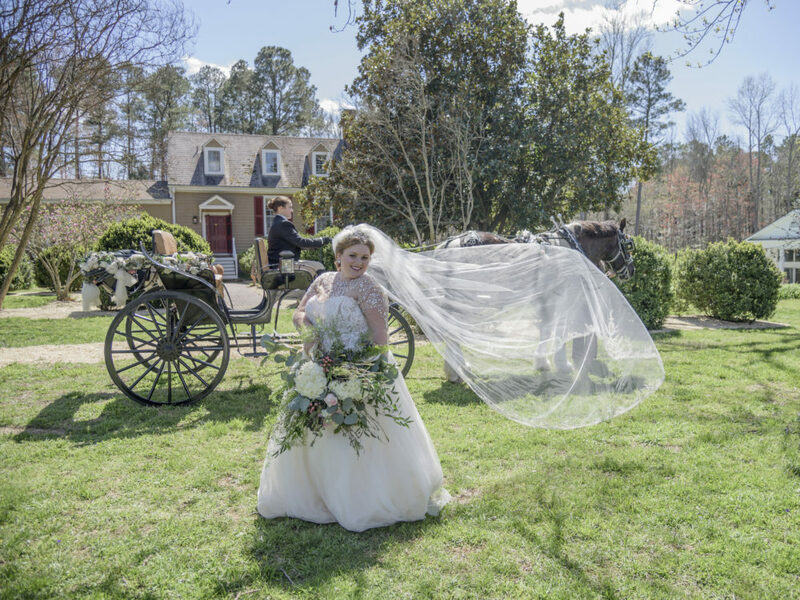 Hosted by the Cary Hill Plantation venue in Charles City, Virginia, this beautiful styled shoot had not only a lovely Cinderella, but also a carriage to carry this lovely couple away. 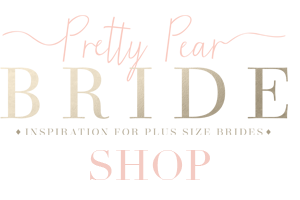 What was your design inspiration? 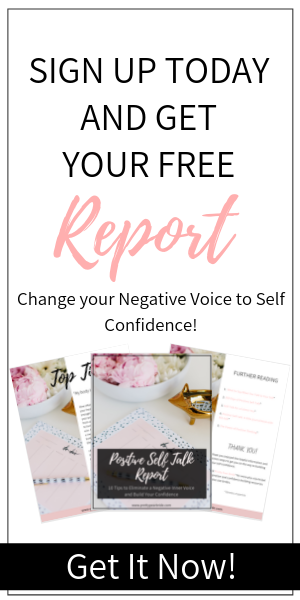 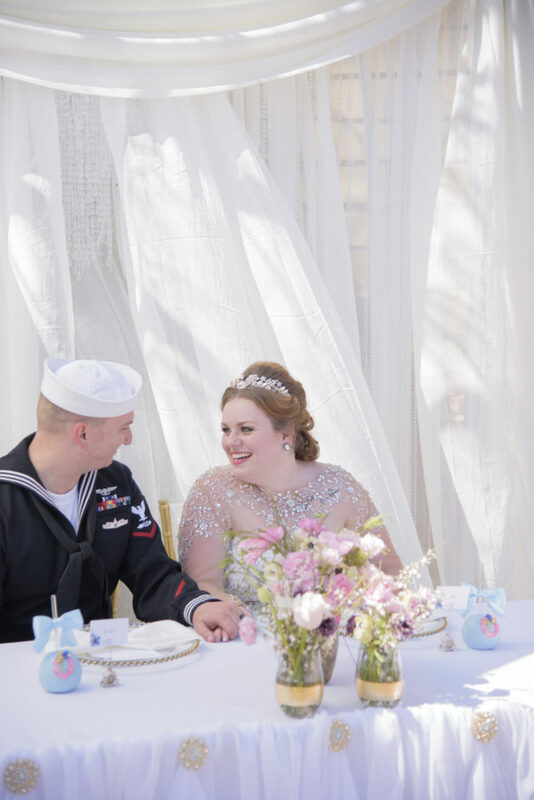 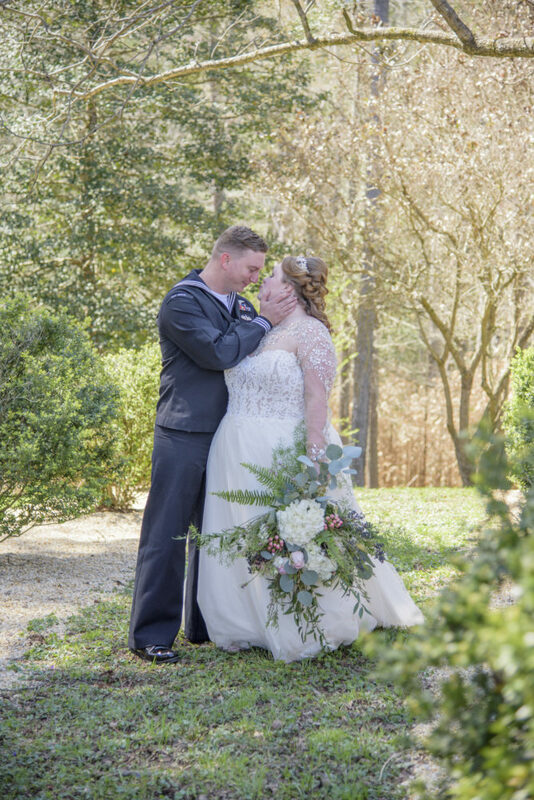 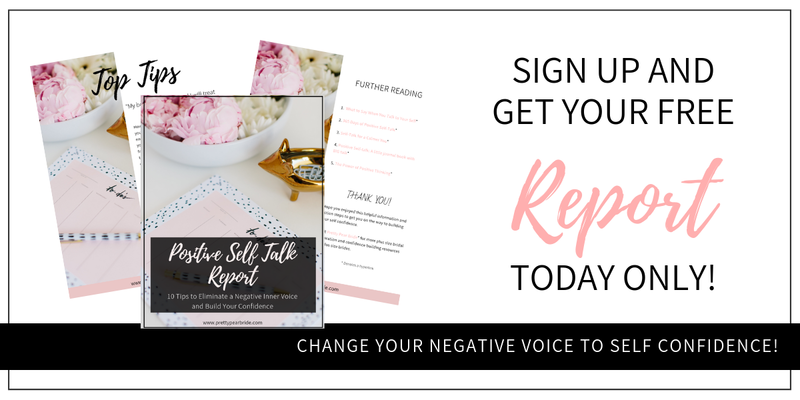 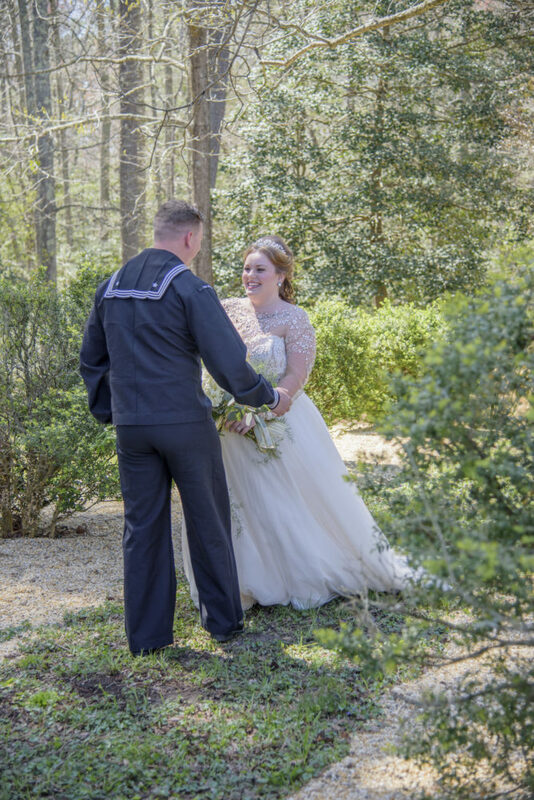 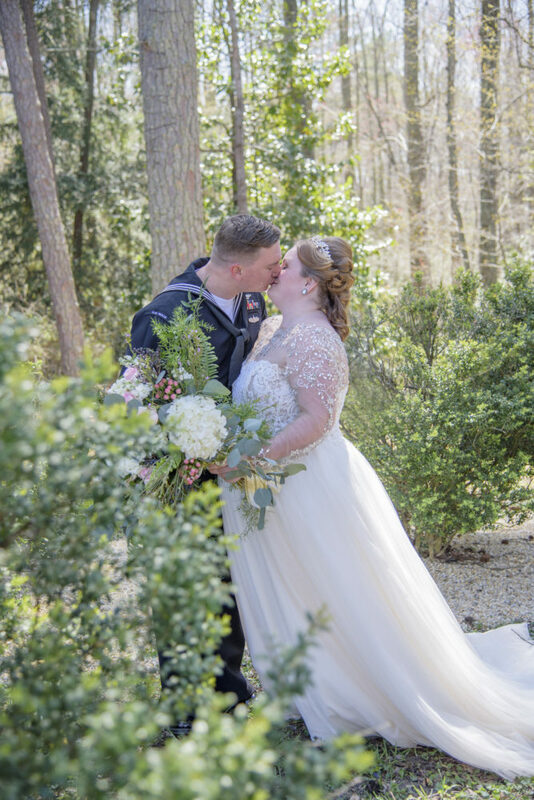 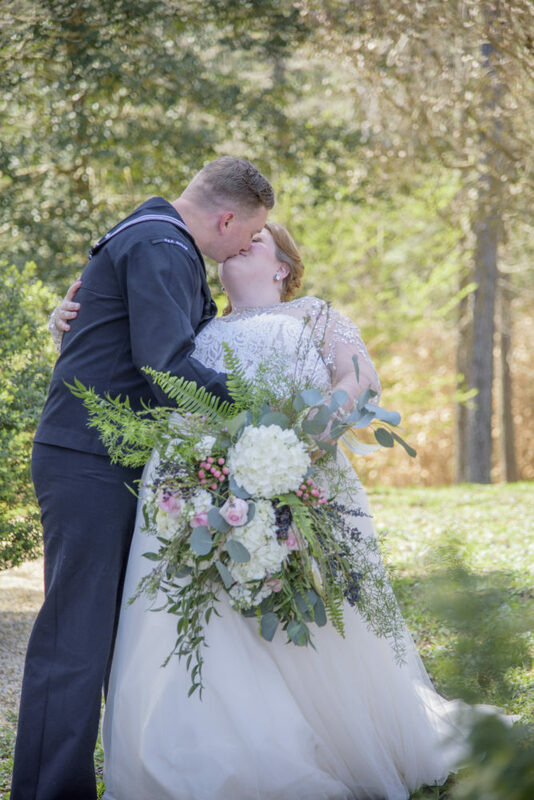 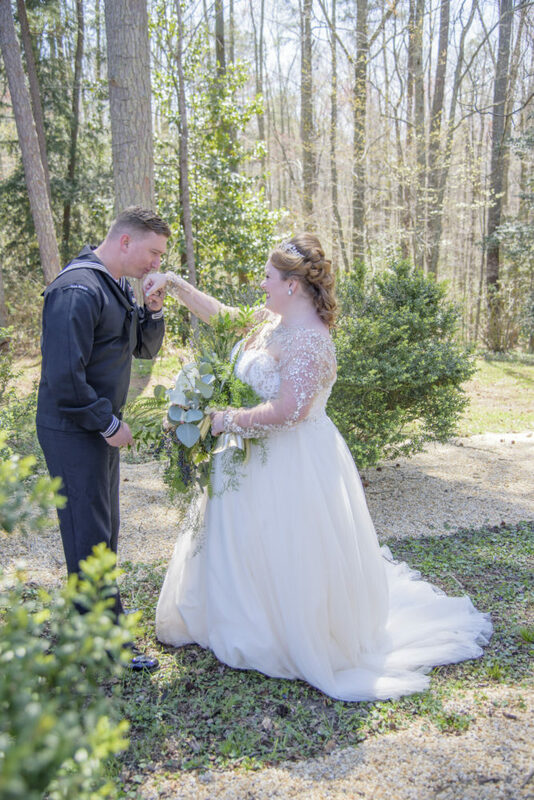 Annette Lindsey from I Do Weddings With Love was inspired after a conversation with a local military wife. 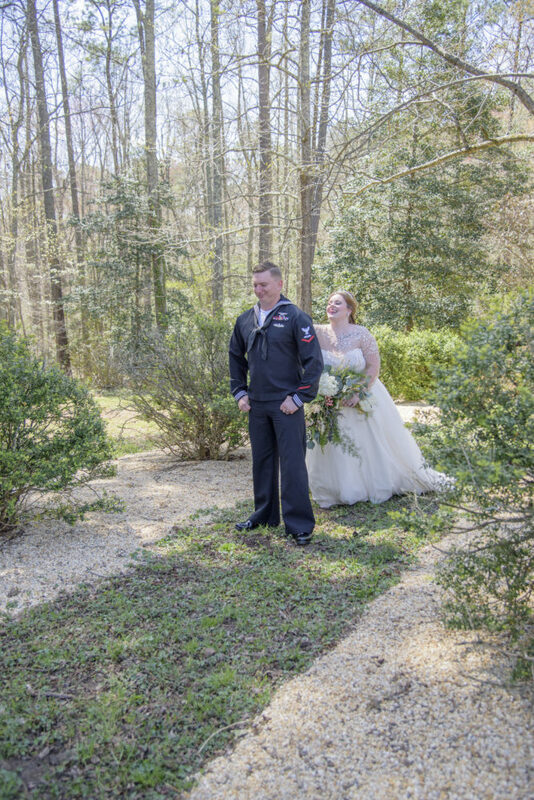 Jenna and Gavin had a rush ceremony because he was being deployed soon. 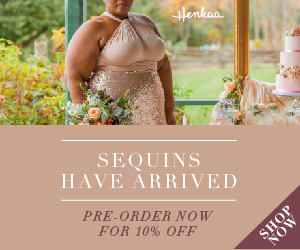 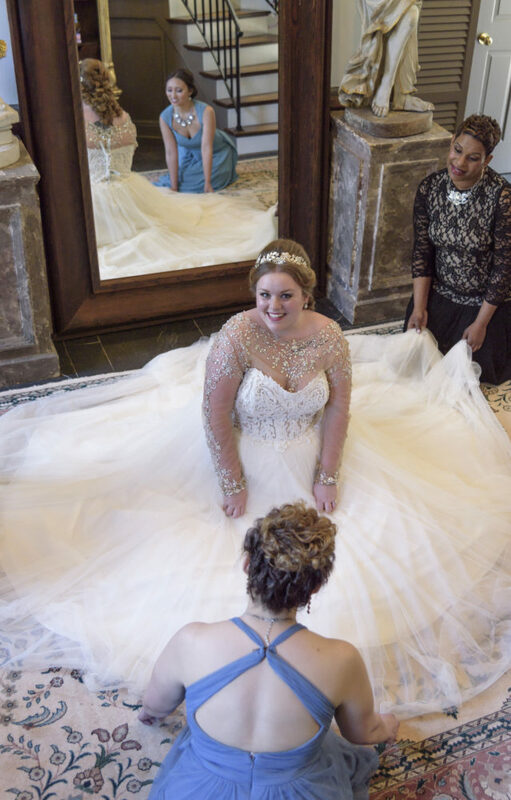 She got married in a $5.00 dress from Old Navy and never had that moment of feeling as beautiful as Cinderella. 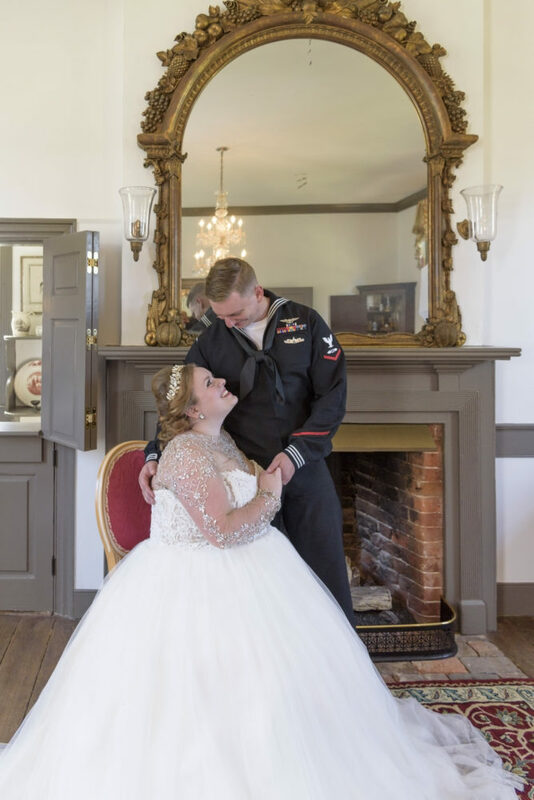 When Jenna stated that she “wasn’t really model material”, Annette was inspired to put together this styled shoot with Jenna and Gavin as the models. 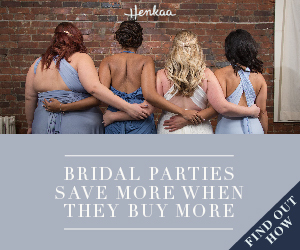 “We are all different shapes, colors, and sizes. 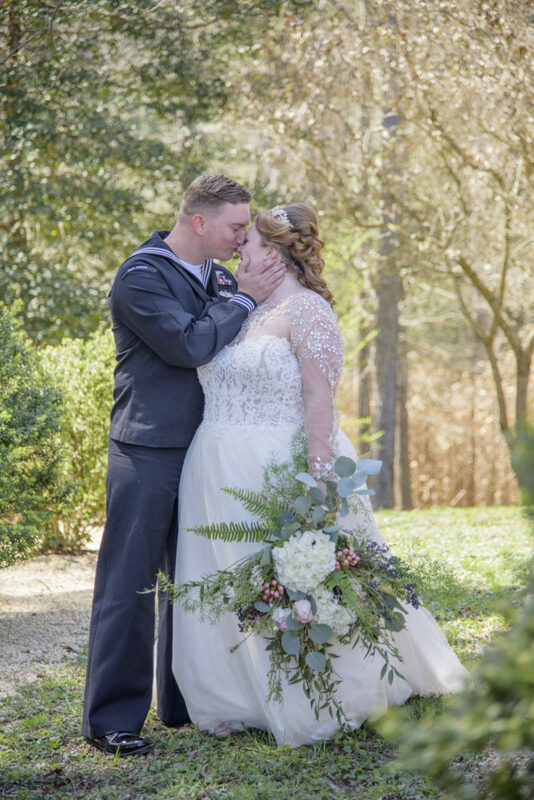 We should not judge people by what the outside looks like, but by what the heart is inside.” This is a military family, a family which has made and continues to make sacrifices for our freedom and country. 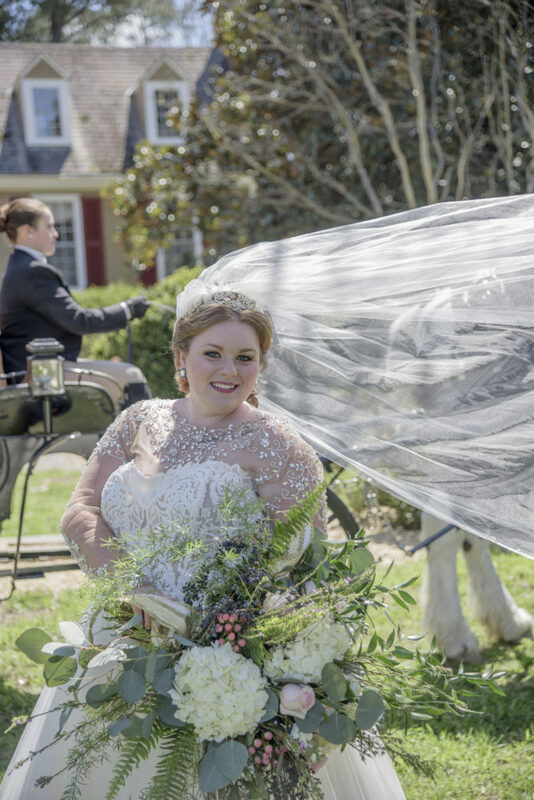 Annette made this Cinderella dream a reality and it was a day that Jenna and Gavin will not forget. 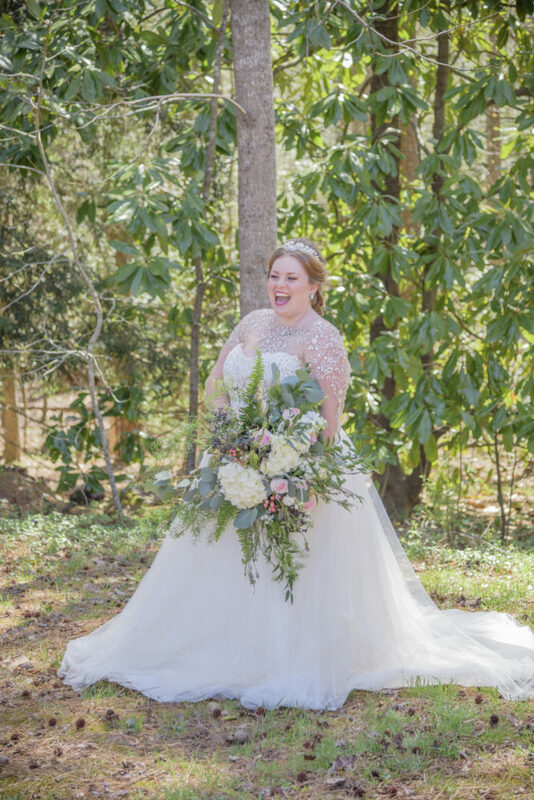 Describe your flowers: The flowers were an elegant combination of blush and white roses and white hydrangeas, created by I Do Weddings With Love. 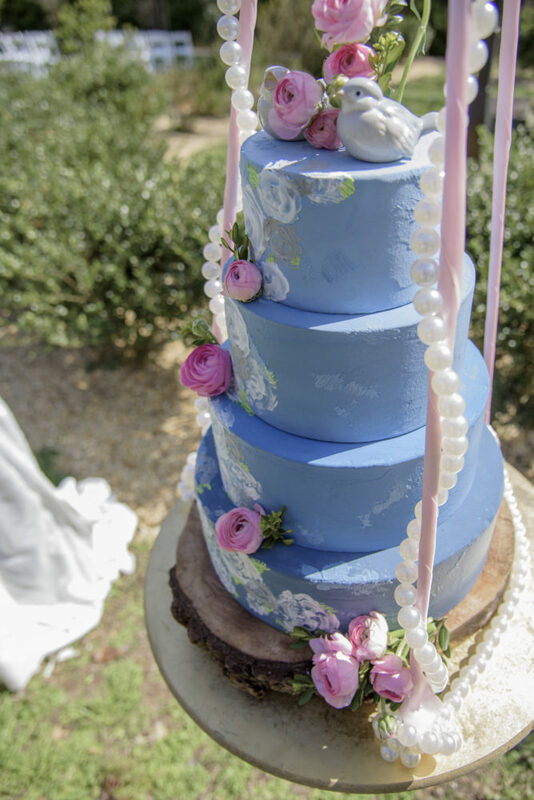 Describe your cake: The four-tiered wedding cake was Cinderella inspired, complete with blush pink roses, powder blue icing with white rose designs, and was topped with birds and roses. 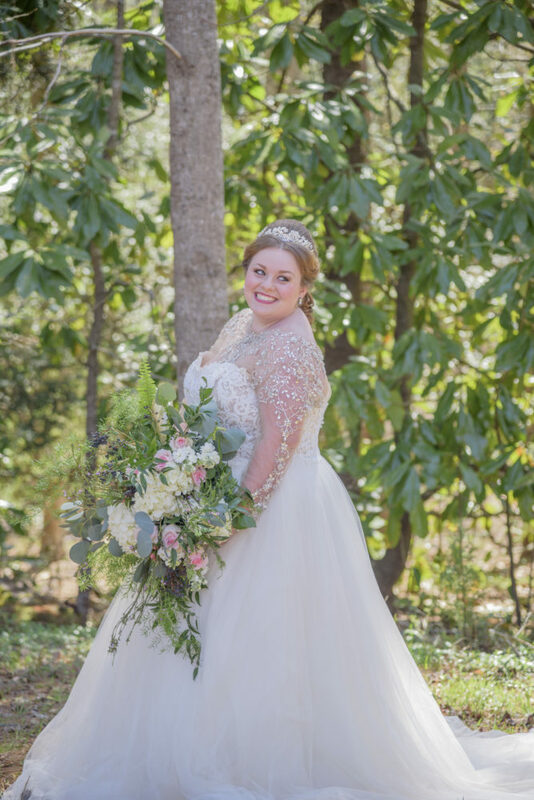 Tell us about your attire choices: Jenna, the bride, wore a beautiful gown from Milk and Honey Bride. 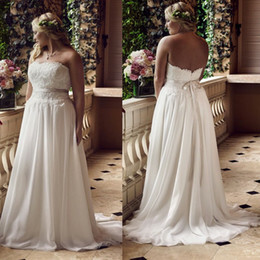 The bodice was adorned with lace and the sheer sleeves and neckline glittered with rhinestones. 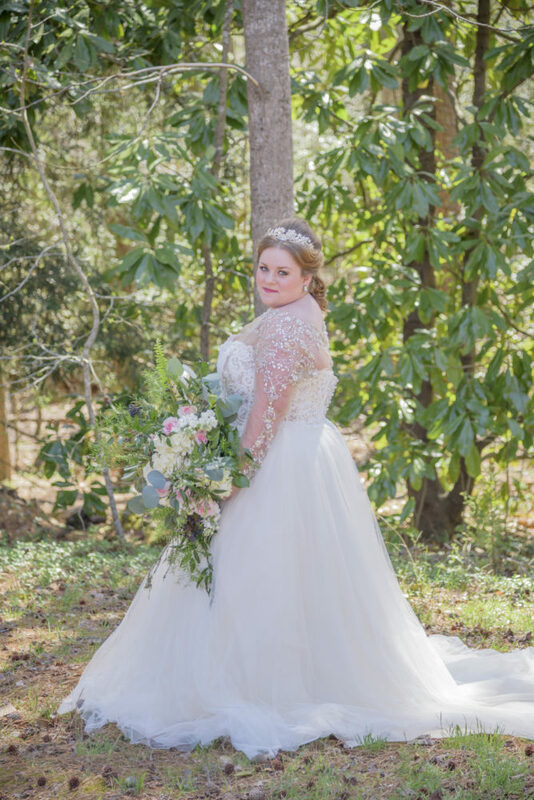 Tulle on the skirt contributed to this very regal gown. 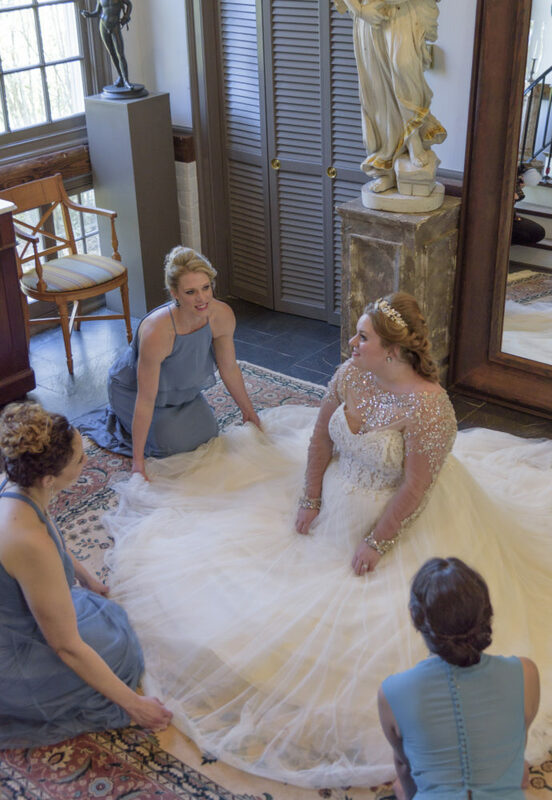 The bridesmaids wore flowing powder blue gowns with varied bodice and sleeve styles. 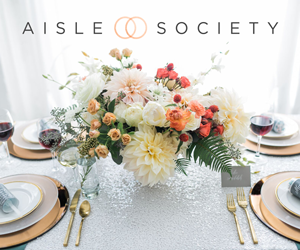 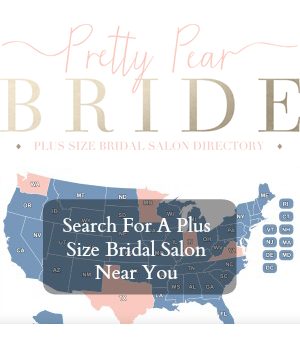 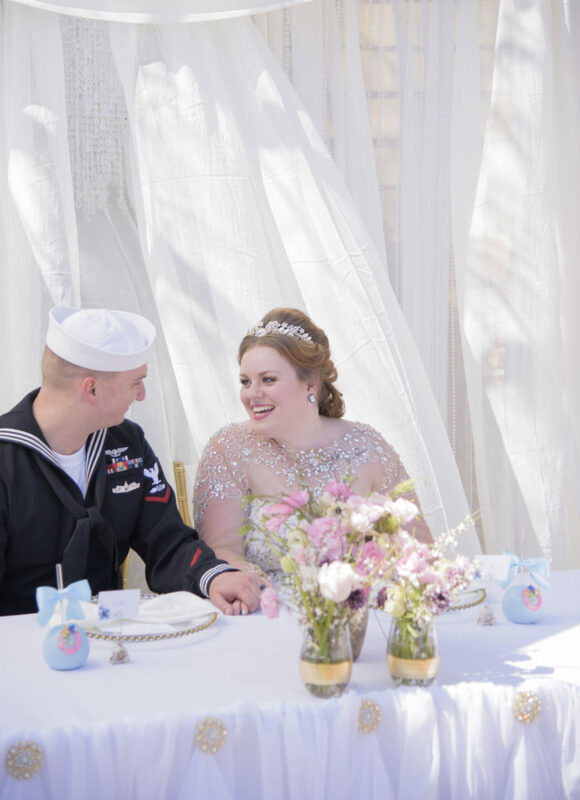 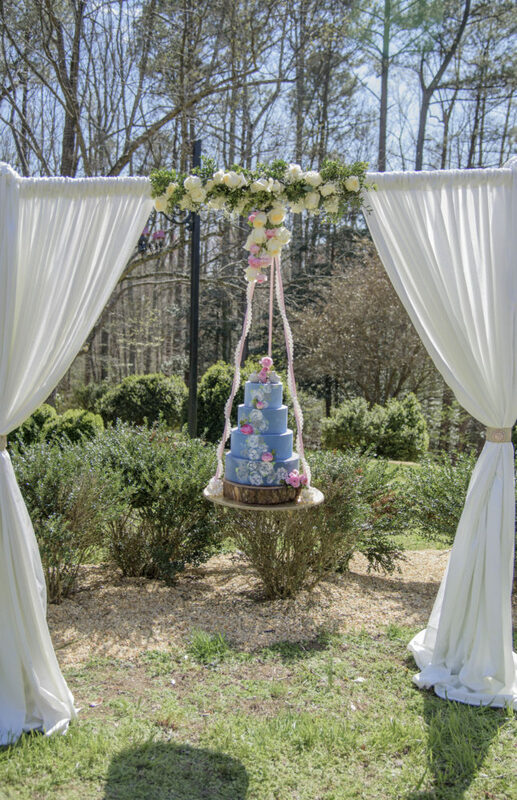 Please describe any DIY, handmade or personal details: Elisa Yu Shan and Tracey Fowlkes created a sitting area fit for a princess and her groom complete with blue apples and other jeweled sweet treats. 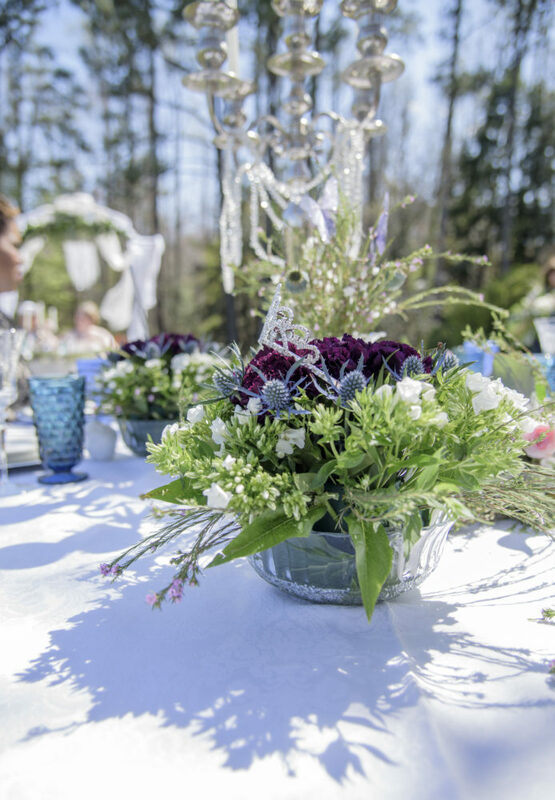 Describe the tablescape elements: The reception table had a combination of beautiful china with green and blue accents in combination with the blue goblets and floral design. 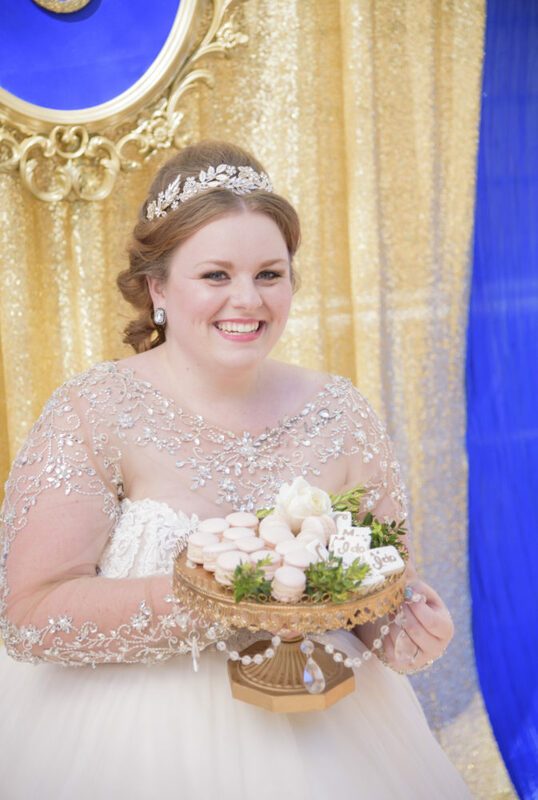 The look was pulled together with a regal silver candelabra.